The efforts of several years have come to fruition this week with the establishment of a Sexualized Assault Response Team in the East Kootenay. A Sexualized Assault Response Team is a team made up of different community agencies and emergency responders that have collaboratively planned out how they will respond to disclosures of sexualized assault. 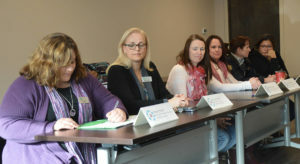 Locally, the East Kootenay-Sexualized Assault Response Team (EK-SART) will include an RCMP member, a Sexualized Assault Nurse Examiner (SANE), a physician, a Community Based Victim Service Worker, a First Nation’s Advocate, and a team of volunteers that will serve as advocates and supports for people who have experienced sexualized assault, according to Nancy Regular, SART Coordinator for the Canadian Mental Health Association for the Kootenays (CMHA). As of December 2016, there were 14 sexualized assaults reported in Cranbrook for that year. “Most statistics show that one in three women will experience sexualized violence in their lifetime, so we know that underreporting is an issue here. This is likely because in our society, people that disclose that they have experienced a sexualized assault often face disbelieving and stigmatizing attitudes. Members of the public interested in helping deal with the issue can apply to serve on the EK-SART volunteer team. EK-SART volunteers will work to provide information to, to support, and to advocate for people who have experienced a sexualized assault. Call Volunteer Kootenays to set up an application appointment. If someone in your life discloses that they have experienced a sexualized assault, believe them, ask them what they need, and help them access whatever they feel will help them in their healing process. The community can also access the EK-SART by calling the Women’s Shelter and Helpline at 1-800-200-3003. If you want to discuss your options with someone you can request to speak with an EK-SART volunteer. A volunteer can talk with you about your options or connect you with resources, and you under no obligation to report the sexualized assault.